The Short Seller by Elissa Brent Weissman. Review: Maybe you should call a lawyer. Mrs. Sachs said, "Dad needed a lawyer? Was he going to jail?" The book The Short Seller is an excellent book written by Elissa Brent Weissman. The main character is Lindy Sachs, and she is a very ordinary girl until strange events occur. The year starts off as a normal year for Lindy. Then, all of a sudden, she gets sick with mono (short for mononucleosis). Mono is a disease when you get a sore throat and you feel very tired all the time. So since she is at home all day and has nothing to do, her father asks her if she can trade a stock for him. Once she made the trade, she thought that it was fun. So she asked her dad if she could borrow $100 to trade stocks of her own. Her father said that he would talk with her mom about it. They decided that it was okay for her to make trades. She got the money, but since Lindy still had the information on her parents' account from when she made the trade for her dad. 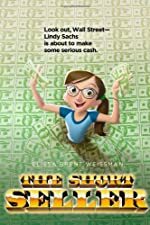 She went into it and took the money without her parents knowing, but then the stock market took a big plunge, and she lost all of the money that she took from her parents. How will she ever get all of the money back in time before they notice it is missing? When you read The Short Seller, you will find that you have been glued to the book because in every chapter there is something that leaves you wanting to read on. Also, another element that I liked about the book The Short Seller is that I can relate to Lindy because she is in accelerated classes and in middle school, just like I am. This is also a good book because things always happen when you least expect them to happen. For example, when Lindy was sleeping for long hours and nobody knew what was happening to her, the doctor said, "I was afraid it might be mono". Nobody expected her to have mononucleosis. I also learned some new information. For example, when Lindy got sick, I didn't know that there was such a thing as mononucleosis. I also learned that some actions in the stock trading market could be illegal, even though it doesn't seem like they are illegal. This is a good book for ages 10 and up because there are sophisticated topics in the book such as the stock market, and younger kids might not understand trading on the stock market. In conclusion, I enjoyed this book The Short Seller, and I hope to read more books by Elissa Brent Weissman. Review written by Veronica (6th grade student). We would like to thank Atheneum Books for providing a copy of The Short Seller for this review. Have you read The Short Seller? How would you rate it?